The number of people killed on Britain’s roads reached a five-year high last year, new figures show. Some 1,792 deaths were recorded in road traffic accidents in 2016, up 4% on the previous year, the most since 2011. Pedestrian deaths saw the largest year-on-year rise at 10%, followed by car occupants (8%). 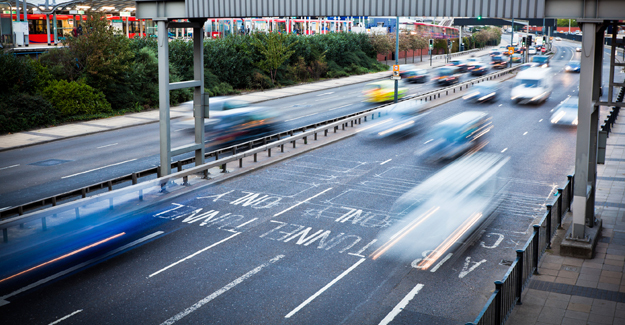 The Department for Transport (DfT), which produced the data in its annual Reported Road Casualties GB report, described the increase in fatalities as “not statistically significant”, adding that it is likely due to “natural variation”. Traffic levels increased 2.2% between 2015 and 2016. Some 24,101 people were seriously injured on Britain’s roads in 2016. This represents a 9% rise on the previous year, but the DfT warned that comparisons should be “interpreted with caution” due to changes in the way police forces are classifying the severity of injuries. “These numbers tell a familiar story. Since 2011 there has been next to no progress made in cutting the number of crash deaths. “The silver lining is that a new accident reporting system means we are gathering better data than ever on the harm being done on the roads. “It is time for the establishment of a road accident investigation branch – similar to the teams we see in the rail and aviation industries – so lessons can be learned and best practice shared across the country to help bring down these stubbornly high figures. “Humans will always be the weak link, so we must continue reengineering our most dangerous roads to stop the worst accidents happening or mitigate their effects when they do. The data also shows that the number of people killed in accidents where the use of a mobuile phone was a contributory factor rose from 22 to 35 (59% rise) and those seriously injured jumped from 99 to 137 (38% rise).